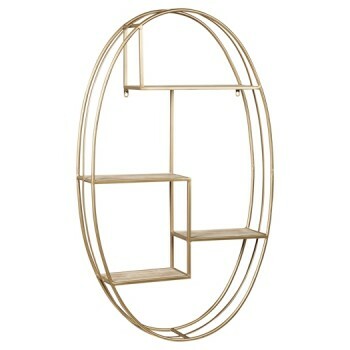 This wall shelf is an unexpected and striking combination of goldtone metal and natural wood. Ellipse design has an earthy luxe feel. Hang it up and adorn the four open shelves with trendsetting accessories.